You and your kids will LOVE making this easy DIY Valentine’s Day Slime project. 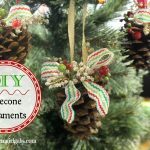 This fun craft makes a great party favor too! Happy Valen-slime Day! 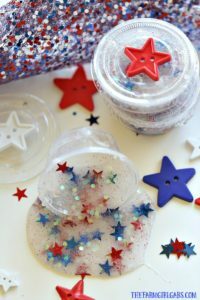 What’s a fun holiday without a fun DIY slime project??!! Be sure to check out all of my fun slime recipes. I totally just realized that I skipped a Christmas slime post so I will definitely have to make that up to you next year. I love creating fun slime recipes! It’s ooey, gooey and so much fun to play with. 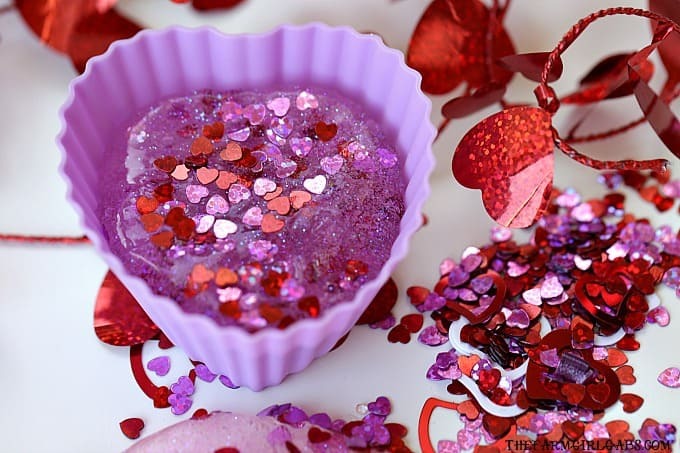 Since it is the season of love, you and the kids will love making this Valentine’s Day Slime. I really miss the days when I would help my kids make fun seasonal projects for their classroom parties and friends. Now that they are 20 and 16, I think if I suggest creating a fun holiday craft for fun, both Gabrielle and AJ would look at me like I had three heads. I tried a new recipe for this Valentine’s Day Slime. I swapped out liquid starch for Borax Powder and I found it much easier to work with. Either way, just make sure if you have younger kids you supervise them so they don’t put either version in their mouth. Let’s make some Valentine’s Day Slime! You and your kids will LOVE making this easy DIY Valentine's Day Slime project. This fun craft makes a great party favor too! Slowly stir the Borax mixture into the bowl with the glittered glue. It will start to get “goopy” immediately. Mix until all the liquid is dissolved. Now you have created some really cool slime! This is such a fun Valentine’s Day craft project for the kids. 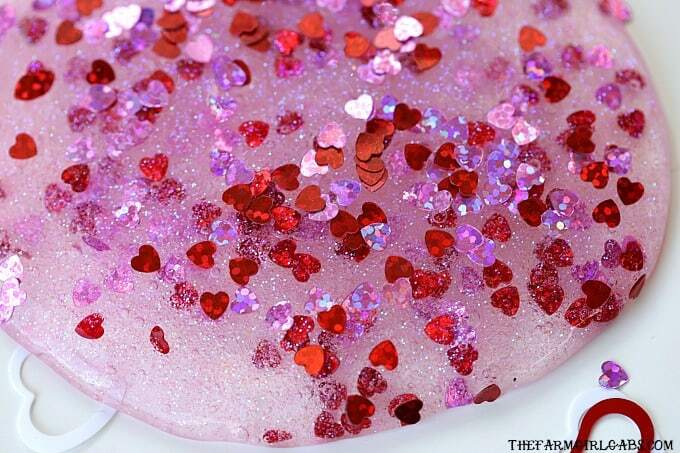 The adorable heart-shaped confetti glitter makes it all the more fun! If you are hosting a party, you can use these heart-shaped silicone molds to store it in. Wrap each one up in a cellophane bags and then hand them out to your kid’s guests. Happy Valen-slime Day! 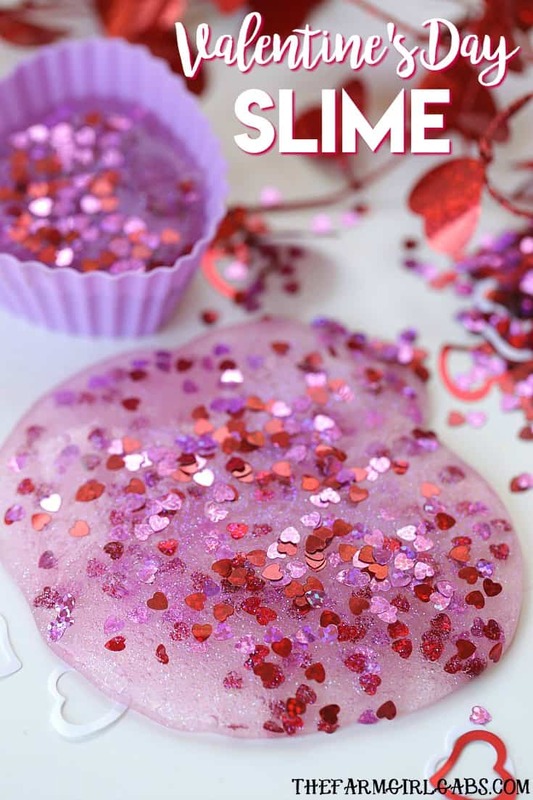 You can save this Valentine’s Day Slime recipe below to your Pinterest board for future reference. Need some more slimy inspiration? Check out my other Slime Recipes here on The Farm Girl Gabs! I love this!! I’ve been looking for something my son can take to his friends at daycare!! Does this get sticky on their hands or is it easy. Lean up? How much does your Valentine’s slime recipe make, the one with Borax. Going to make for a class Valentine’s Day party. Would Need enough for 22 kids. Thanks!